The Monroe Catholic Boy's Basketball Program has built a culture of success based a foundation of unselfishness, hard work and toughness. At Monroe, I am proud of the culture we have created and grateful to the young men and parents who have bought in, allowing us to achieve extraordinary success. There are few decisions in life more important that choosing a high school for your son. If your son's education is important to you and he aspires to reach his full basketball potential, the best option you will find is Monroe. At Monroe, we have a plan for your son, both from an educational and basketball standpoint. Our plan includes much more than the plotting of courses from one year to the next, as you would find in a typical school. The Catholic Schools of Fairbanks are committed to developing every aspect of your son - intellectually, spiritually and athletically - ensuring your son develops into a well rounded young man ready to move on and find success beyond high school. Our Jesuit foundation requires your son, upon graduation, to fully understand what it means to be Committed to Doing Justice, Open To Growth, Religious, Loving and Intellectually Competent. As the only local high school boys basketball coach in the Fairbanks Community who works in the high school he coaches at, I am not only committed to seeing your son reach his full potential as a young man and player, I am here every day to help him along his journey. I use basketball as the vehicle to prepare your son for life. I will challenge your son and I will be honest with your son. Nobody will work harder for your son and nobody will care more and love your son more than I. If you would like your son to develop the characteristics of success - Unselfishness, A Strong Work Ethic, Discipline, Toughness and Accountability - then I would love to work with him. Please take a moment and check out the links on the right if you would like to know more about our program. If I can be of any help to you in the making of one of the most important choices you will make for your son, please do not hesitate to contact me. Following a 30-1 campaign and loss in the state championship game, many were unsure what to expect from the 2017-18 Rams. 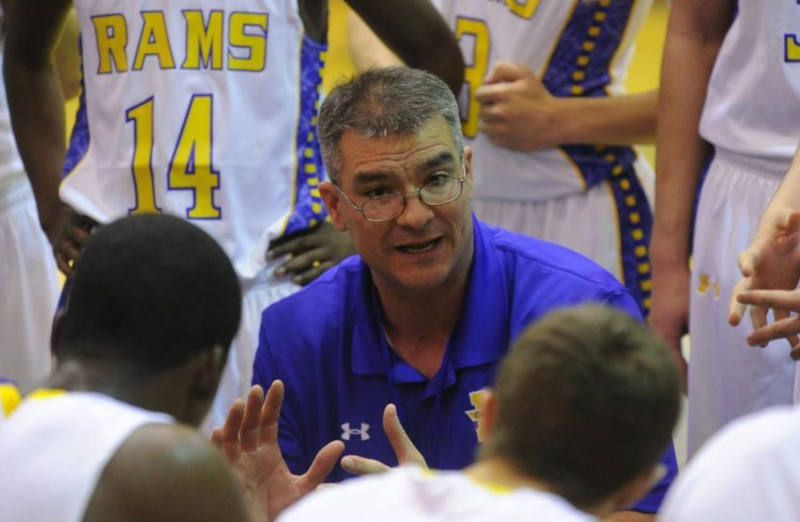 By the end of the year, the Rams would be well known for their toughness, effort and ability to shoot the basketball. Back from missing all but five games of his junior year, was senior Gavin Jackson. Jackson did not disappoint as he quickly established himself as one of the premier players in the state. Jackson would eventually be named MVP of the Aurora Conference. The season got off to a great start with the Rams winning their Mt. McKinley Bank Holiday Classic, defeating three of the premier 3A teams in the state – Grace Christian, Valdez and Barrow. Unfortunately, in the final minute of the final game of the tourney, star senior point guard Divon Davis separated his elbow, forcing him to miss the next six weeks. 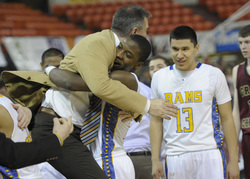 Without Davis, the Rams suffered through some low points, but never loss their focus and love for one another. To their credit the Rams never lost focus and through the struggle, grew closer together. Led by Jackson and junior guards Izak Lohrke and Isaac Garcia, the Rams proved to be a handful. Despite the loss of Davis, the Rams traveled to Whaler Classic and defeated 4A schoos East Anchorage and Juneau Douglas and then defeated the Barrow Whalers in front of a raucous crowd for the title. The Rams held serve in the very difficult Aurora conference, finishing the season 9-1 and seeded number one heading into regionals. The Rams met the very talented Valdez Buccaneers in the championship game, defeating the Buccaneers to win their seventh Aurora Conference Title in the past ten years. The Rams reached the semifinals of the 3A state tournament for the eighth straight year, by defeating the Bethel Warriors. The Rams lost a close game to the Barrow Whalers, ending their bid for a state title. Despite not winning a state championship, the Rams finished 25-6, added another conference title to the trophy case and represented their school and community with class and grace.